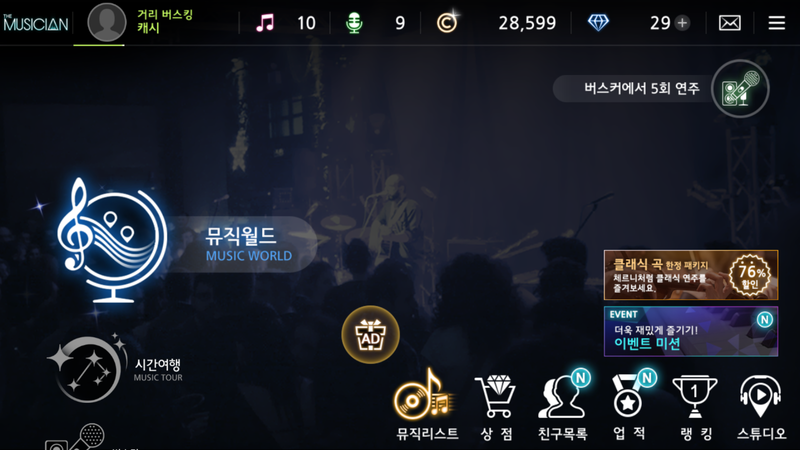 If you have seen the first episode of Wanna One's variety show "Wanna One Go", you should be familiar with the music game "The Musician". This was the game Hwang Minhyun and Kim Jaehwan were playing together at home. 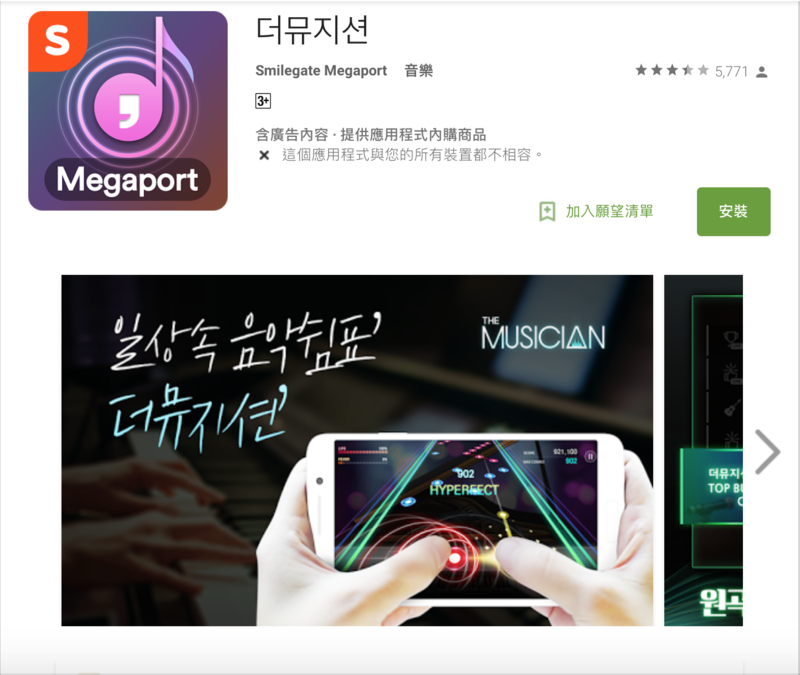 "The Musician" has Android and iOS versions but it can only be downloaded in South Korea. In ordinary cicrumstances, users from other areas will not find it in the App Store/Play Store. However, there are guides on the internet on how to apply for a foreign account like using VPN, etc. However, OP has an alternate way but it can only be used for Android. This method is to directly search for the .apk file of "The Musician" on the internet and download it to your phone and install. However, this method is a little troublesome because everytime there is an update, you will will have to re-download the new .apk file and install it again. The game is entirely in Korean but the commands are simple. Also, there will be tutorials when you enter the game so do not be too worried. 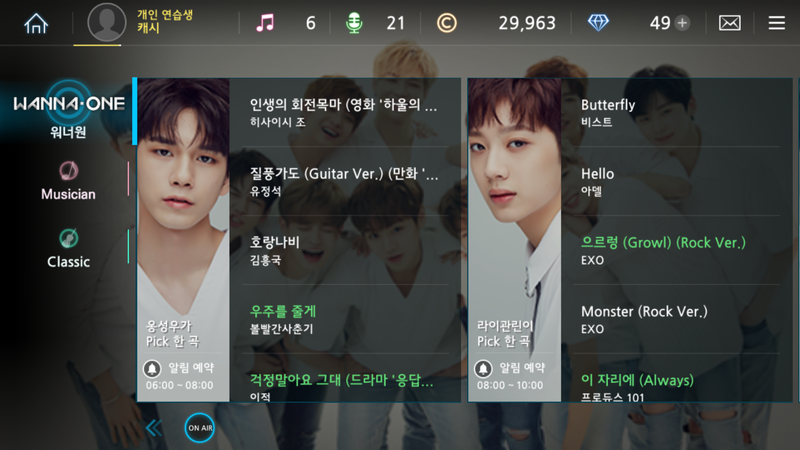 The game is split into rounds and the songs in it are mostly Korean songs like AKMU, Beast, AOA, etc. However, there are some foreign songs that Koreans like, like the widely popular Frozen theme song. The picture in the song shows the instrument for the round. Different instruments have similar playing commands. The three below are of different difficulties and songs have a chance of being repeated. 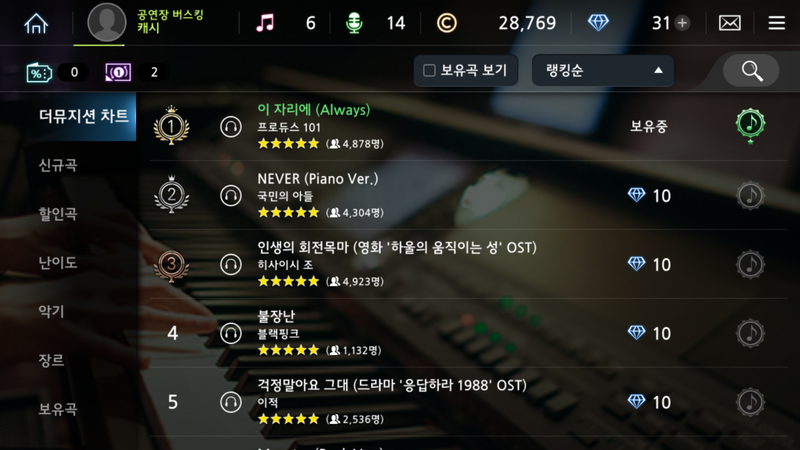 In the main page's "뮤직리스트", you can use diamonds to purchase some new songs. Diamonds will be awarded when you complete a round or level up, etc. There are a lot of songs to choose from and obviously includes "Always", "Never", "Oh My Girl", etc from Produce 101 S2. There are also previous hits such as the Goblins OST and the Reply Series OST. The playing style is similar to most music games. You just have to tap or hold according to the beat. Lastly, for the "On Air" part, OP is not very sure about what it actually means but I think it is the Wanna One members choosing their favourite songs. 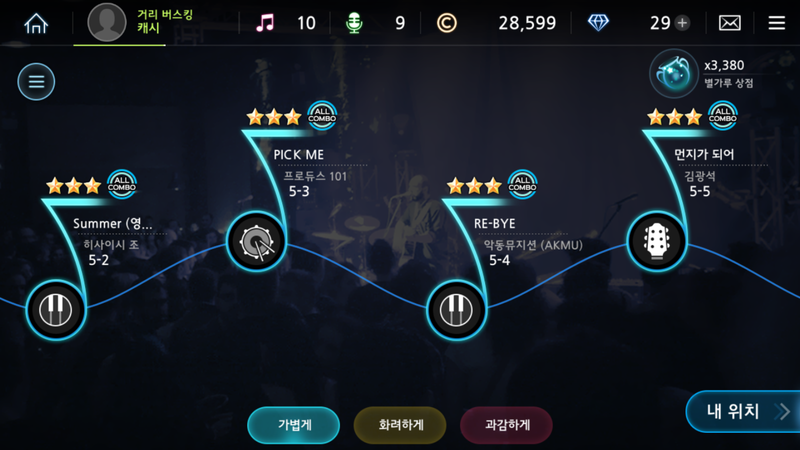 If you like Wanna One or Korean music, don't miss out on this game! Isn't this game like that Tap Tap gaime? It's on QooApp, for android users who want to keep it updated. It's an asian app store that allows you to download the APK and use their appstore to keep the game updated instead of having to reinstall whenever there is an update.